FastStone Image Viewer can solve your all problems if you feel difficulty while editing multiple digital photos and images (screen capture, photo resizer), or viewing it together? You must have a powerful and right Image editor or photo editing software to edit your digital photos effectively. In today’s guide, i am going to explain about an amazing image editor, image browser tool which will solve all the problems of editing your digital photos called “FastStone Image Viewer”. What is FastStone Image Viewer? FastStone Image Viewer is one of the best, user-friendly image browser, converter and image editor which help you to edit your digital photos and convert them very prettily. The best feature of this tool is, it works very fast and saves your lots of time. Availability of numerous useful image editing tools such as: Resize, rotate/flip, crop, sharpen/blurry, adjust lighting/colours/curves/levels etc. (1) At first, open the FastStone Image Viewer and select the images folder from the left-side corner. You have to just select one image from the folder and it will automatically zoom in two times. After zooming in the images can be moved with the help of the cursor. (2) After zoomed in, if you wish to set that image as your wallpaper then you can do very easily by clicking on the right button —> Wallpaper —> Set wallpaper. (3) If you want to adjust the lightning of your digital photo then you can do by clicking on the “adjust lightning” button which is available on the top bar. You can also set many things from there like shadows, highlight, saturation and contrast of the photo. (4) The screen can be captured by selecting File —> Screen Capture and then crop the screen needed. You can save the captured screen in any format and also view it on full screen according to your wish. (5) From the top screen, you can find lots of options. For example: cropping tool and many other tools. So, go and grab it. Important note: FastStone Image Viewer application is available in four different formats to download. I would recommend you to download the portable version of FastStone image viewer. If you think FastStone Image Viewer photo editing software can full-fill your requirements then download Faststone image viewer app right now. Run it on your computer and start browsing images or editing your digital photos according to your need. I assure you will love this powerful and Intuitive Photo Viewer software . I hope you found this faststone image viewer tutorial useful for you. 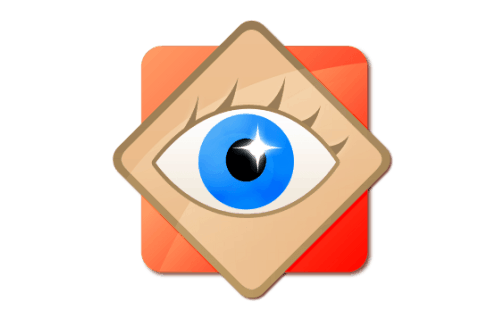 Feel free to write in comment section – what do you think about FastStone Image Viewer application? Honestly speaking, I’ve never heard of FastStone Image Viewer application or this way to edit images, so this is news for me. I always prefer using Photoshop, or perhaps I’ve learnt how to edit images right there, or you have the online versions like PicMonkey and a few others. I wonder how this is different from those? I guess you would be the best person to let us know about it. At first your most welcome on My new Blog (zerodollartips) and thank you so much for sharing a lovely comment. I am really so much glad to know that you liked this Faststone Image Viewer tutorial. You should be the part of a contest for one of the most useful blog online.